Experience the tranquil surroundings of Forsthofalm, and take part in our Summer Fitness and Yoga Boot Camp, a great balance between high energy fitness classes, and calming yoga sessions to fulfill your body’s yin yang! Our trained professionals will lead you into a refreshing mind and body detox through exercise and meditation, to provide an unforgettable experience that will help develop and strengthen one’s core body and relax the mind. Breathe in the clean Austrian mountain air, and find your equilibrium during Forsthofalm’s summer boot camp. The yoga package incorporates elements of the natural world into our guests’ yoga sessions, with meditation walks, Sun flow energy yoga and ‘muscle jumping’ fitness outdoors. The yoga and fitness package spans over four days, in which our guests LIVE within the stunning rooms and suits of the hotel, carved from moon-wood, a specially sourced material to naturally enhance our guests sleep. EAT and experience deliciously prepared food with our Bio buffet breakfast, following snacks in the afternoon, and an amazing five course meal in the evenings. 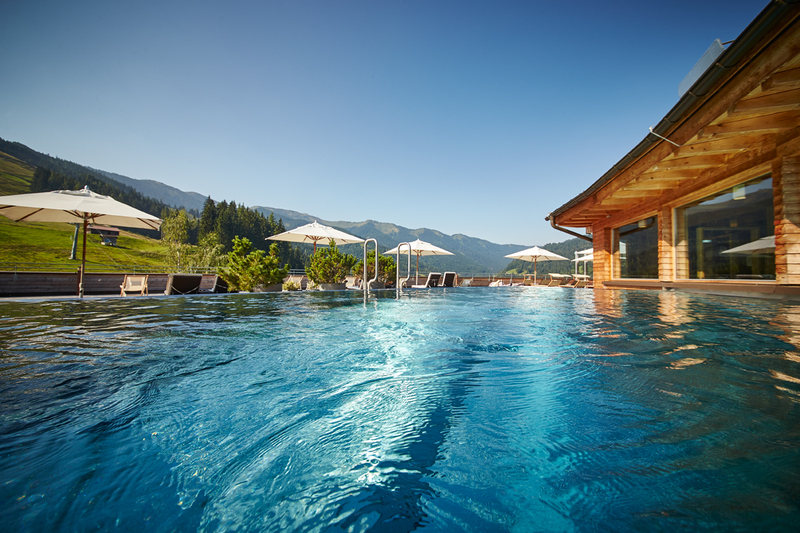 Finally, guests are encouraged to relax and LOVE our SkySpa, rooftop pool and fitness suite, choosing to either energise or unwind after a day surrounded by the Austrian Alps. Room prices start from € 725.00 per person. Book here for your Summer Fitness and Yoga Boot camp.